“I want to be a writer,” the young Orhan Pamuk tells his mother at the end of the 2005 coming-of-age memoir Istanbul. It is possible to view this statement of intent as a soaring moment of modern literature – one that deserves to be filmed on 70mm, accompanied by a Hans Zimmer score, the scene building to a freeze-frame on the face of the resolute young man who will go on to become a globally celebrated Nobel Laureate. Such triumphalism would be reductive, though, given that Istanbul is a book about boredom, inertia, and huzun, the Turkish word for melancholy, which Pamuk presents as a key characteristic of his city, infecting all its residents; and also, that a running theme of his work is the frustration inherent in being a serious writer – the obsessive need to transform experiences into words, set against the impossibility of doing this to full satisfaction. One way in which he has dealt with this theme is to scrape away at the nature of storytelling, often using sly, self-referential devices to make the reader wonder how much a story can be trusted. You see this, to varying degrees, in the multi-narrator technique of the early novel The Silent House, the much more complex shifting perspectives of the star-making My Name is Red (where even a corpse, a tree and a much-used coin are given voice), the dense meta-narrative of The New Life, and the use of a theatre setting in the wonderfully absurdist Snow. This coming from someone who once worked in a bookstore, wanted to do little more than read and write, and even imagined that he and the woman he married would read a book together before making love. But if Cem doesn’t ever become a storyteller himself (at least in the sense that he hoped to be), he never stops being an absorber of stories, or understanding his life through the things he has read. Over the course of this narrative, he will have special reason to become obsessed with tragic father-son relationships in literature: with Sophocles’s play Oedipus the King, in which the hero inadvertently commits patricide; and its complement, the story from the Shahnameh in which Rostom unknowingly slays his son Sohrab. Cem himself will have troubled relationships with two “fathers”, and much later a confrontation with a “son”. The question arises: is art reflecting life, or is life walking obediently in art’s footprints? 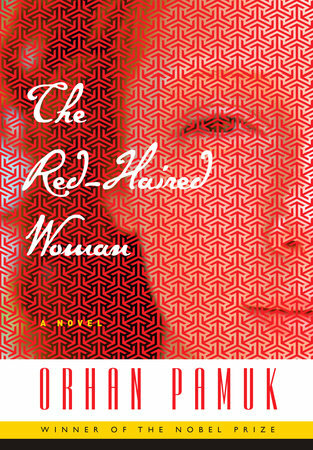 The Red-Haired Woman opens in the mid-1980s with the teenage Cem – whose father has been arrested because of his Leftist politics – taking up a job as an orchard watchman (he hopes this will be a temporary detour before completing his education) and then becoming apprentice to a veteran well-digger. On a deserted plateau around 30 kilometres from Istanbul, he and Master Mahmut sleep in a tent, under the stars, at night – with the city’s lights “reflecting off the clouds like a yellow fog” in the distance – but for much of the day their gaze is downward, as they move ever deeper into the ground. The literary-minded Cem thinks of Jules Verne’s novel Journey to the Centre of the Earth, but we see that Master Mahmut is, in his own way, a creative person – obsessive about his work, refusing to compromise as he assails the layers of rock that stand between him and the water he believes is waiting to gush to the surface. Meanwhile, during their occasional visits to the nearby town of Ongoren, Cem sees and slowly becomes obsessed with a red-haired woman; is this purely a sexual attraction, the reader might wonder, or as a member of a theatre group, does she also represent the artistic aspirations he has temporarily put aside? As he and Master Mahmut dig on and the prospect of finding water seems ever more remote, Cem’s newfound distraction becomes all-consuming and leads to a tragedy whose implications even he doesn’t fully understand. This first section of the book – which takes up close to half the narrative – is gently reflective, focused and mainly deals with the events of a few weeks: Cem learning about the nuances of well-digging, the forays into the town, his long-awaited meeting with the Red-Haired Woman, his conversations with Master Mahmut, the stories they exchange – from Mahmut’s religious parables to Cem’s summary of the Oedipus tale. The second section, after Cem leaves the well and the town, is looser, more diffused. The next decade or two of his life flies by in a few pages. He courts a girl named Ayse, they marry, are unable to have children but find ways to fill this gap, including traveling and making plans for the expansion of their own construction company. Privately, he remains tormented about the possibility that he had betrayed Master Mahmut. And then, a summons from the past draws him back to that defining phase of his life, and back to Ongoren. The quickening of the narrative in these sections also seems to reflect the pace of development around Istanbul: we learn that the areas surrounding the city of the 1980s have expanded and urbanized so much that Ongoren has become essentially an extension of the capital. (Old-time Delhiites who remember what it was like to travel on the scrubby road towards Gurgaon 30 years ago might be able to relate to Cem’s feeling of disorientation when, looking down from an airplane, he is unable to identify the once-barren landscape where he and his master dug their well in 1986.) And yet, throughout all this, Pamuk never lets us forget Master Mahmut, the role people like him play in facilitating such development, and the patience that is integral to their work: there is a brilliant, recurring dream-image of the well-digger toiling away all by himself, as if on an alternate plane of reality, determined to reach the earth’s core if he must. This may be the “easiest” Pamuk book I have read so far, but even his most accessible, plot-driven novels (Snow and The Silent House are among the others that come to mind) tend to have surreal passages or philosophical musings that steer close to pedantry – and I don’t mean that as criticism; it feels almost necessary in stories about self-reflective characters whose lives have been influenced by literature and who are often forced to confront the relevance (or irrelevance) of what they are reading, in a confused and torn world. For instance, one question briefly raised here is: what do the differences between the Oedipus story and the Rostom-Sohrab story tell us about the differences in Western and Eastern culture and attitudes? But there is also this counterpoint: in a situation where we are concerned with the life and emotions of a specific individual, does that larger picture matter all that much? Since there is so much going on in this relatively slim book, the narrative can feel a bit uneven or unbalanced, especially in the second half. Near the end there is a revelation that can be seen as either an implausible coincidence (if you take the plot purely at face value) or as Pamuk trying too hard to make a symbolic point about fathers and sons treading similar paths. But as always, he is more concerned with raising questions than with answering them. And without revealing any specifics, many of the reader’s assumptions about this story and its storyteller are overturned by a final, short section, where we get a different narrator and the ground shifts a little beneath our feet. The Red-Haired Woman is about many things, but I saw it principally as being about the many ways in which we are shaped by what has gone before us: from the lives of our parents (whose shadows we might not be able to escape even if – or especially if – we are rebelling against them) to the stories we read and love. And how these influences can, over time, become a self-fulfilling prophecy. A bit like the story Master Mahmut tells about a prince who, in making a carefully worked out effort to escape an encounter with Azrael the angel of death, ends up in the pre-ordained meeting place. You seemed to have quite liked this book. I wanted to like it, but it elicited a very different reaction from me, and what follows below is a bit of a rant. I have not read much Pamuk at all, apart from 'the Museum of Innocence' which I found dull and did not persist with; so all this is coming from someone who has not read the author's most appreciated novels. I found that 'The Red Haired Woman' made for a very strained reading, with only the first part of the book (covering Cem’s stint as a well-digger) sustaining any real interest. Even then the narrative seemed slightly contrived, with the narratorial voice possessing a slightly affected quality, which seemed to get progressively more affected as the novel went on. I didn’t always see the broader significance of some of the parables related, and why they evoked the reaction they did. E.g. When Mamut relates the parable of Joseph, and states that Jacob was in the wrong to have favourites amongst his sons, I didn't see why that should upset Cem. It seemed as though Pamuk had a core idea with respect to life replicating art vis-a -vis the Oedipus/Rustom and Sohrab myth, and went on to construct an unconvincing and not very engaging novel to reflect it. There are some ‘twists’ or variations in the central theme; i.e. when Cem’s wife Ayce wrongly forebodes that Enver will harm his father. Her mistake emanates from her tendency to view the story of Oedipus as a sure template for Enver’s behavior, and attribute an inexorable, pre-ordained sort of quality to it. Yet, ironically her actions in mistaken reliance on the myth only serve to reaffirm the myth. Perhaps a lot was lost in translation, but I just did not find the way all of this was actually written very appealing or persuasive. I found your review more engagingly written than most of the novel. The Oedipus and Rustom/Sohrab myths were so extensively (and tediously) dwelt on throughout the novel, without (for me) imparting anything interesting or insightful about fathers and sons. Nor did any of the conversations between Cem and his wife, their travels and discussions on the themes emerging from the fables alluded to above, evince any particular profundity. Cem's ascendancy as a construction tycoon and the lapse of time was also not conveyed persuasively. You, more generously, deemed this to be reflective of the pace of development and the rapidity with which time was passing. To me, it just seemed like we were merely being told that this happened and then this happened without really gaining an authentic sense of it. By the time the Red-Haired-Woman made her disclosures, I didn’t even care anymore. 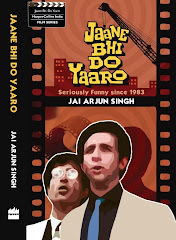 This novel’s preoccupation with the father and son theme and allusions to the fable of Rustom and Sohrab, did bring to mind the ‘The Kite Runner’, whose author would generally be considered much more light-weight than Orhan Pamuk. Yet I feel that most of ‘The Kite Runner’ was written with far more sincerity and to much better effect than ‘The Red Haired Woman’. It was really only the final third of ‘The Kite Runner’, which struck me as artificial, manipulative and a poor culmination of what had been so wonderfully built up earlier. The narrators of both novels share a love of reading and reflect on what they read, and both do something they come to regret. In ‘the Kite Runner’ Amir betrays Hasan, and in ‘The Red Haired Woman’ Cem abandons Mahmut in the well, with these events informing the remaining portions of the novel. Despite its faults, I found the former novel intimately engaging, and at times stirring, whilst I was (for the most part) very detached from the latter. In ‘The Red Haired Woman’ the themes of guilt, betrayal, father and son dynamics were dealt primarily by way of the narrator’s abstract pontification and strained ‘philosophising’, whilst these subjects were, I think, engaged with at a much more visceral level in ‘The Kite Runner’.